Sicily is not just a land of history, nature and myths. To admire the monuments of Greek, Norman and Arab influence is not enough to show one's love for this island... it is through the memory of traditions, the expertise of artisans and the moments of 'everyday life' that we can fully capture the soul of this land. 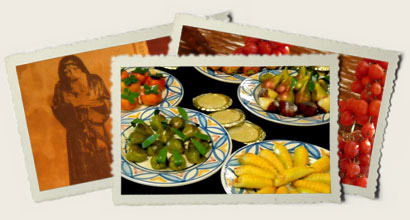 During your stay you will always witness a procession in honor of a Patron saint: let yourself be tempted by strange Sicilian dishes typical of food festivals and local markets or, if you are visiting Sicily during harvest time, enjoy a stay in the country: you can experiment a unique wine or olive oil tasting! 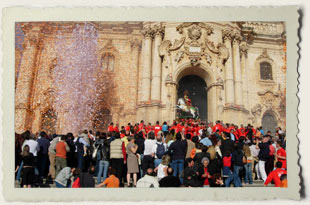 Whatever the season and no matter where you are, there will always be something going on in Sicily! Sacred and profane, religion and superstition blend together during the countless festivals to celebrate a patron Saint, a seasonal food or a regional product: all wonderful opportunities to get connected to the very soul of this magic island. 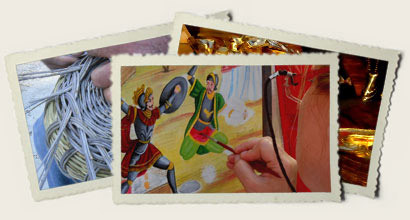 Take part to our workshops to experience the way of creating typical Sicilian handicrafts. Baskets made from olive branches, fruit shapes molded from marzipan, Sicilian puppets carved from a piece of beech or lemon wood, clay harvested from the earth and dried in the hot Sicilian sun, before being baked and painted: this and much more you can see and learn in our workshops! We may visit artisans in their laboratories, sometimes in their houses as well, where tradition has been handed down from generation to generation from time immemorial, and pieces of Art are made with the same patience and using the same old handmade tools as those of centuries ago. 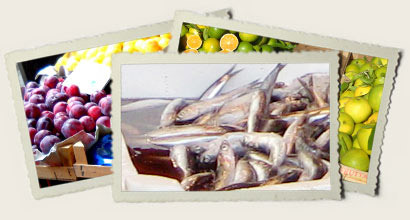 Almost every town has its 'mercatino' (local market), open once a week. Either located in narrow medieval streets, like in Palermo, or occupying a square, like in Catania, the open air markets are always worth a stroll through, even if you actually don't buy anything. Nothing else connects you with local life more than a visit to a bustling street market. Like a heritage from Mediterranean people, who settled here in the course of the centuries, the 'spirit' of Sicilian markets recalls that of the Arab 'souq', not only in the ambience, colours and sounds, but also in the way items are hanged out to be sold.